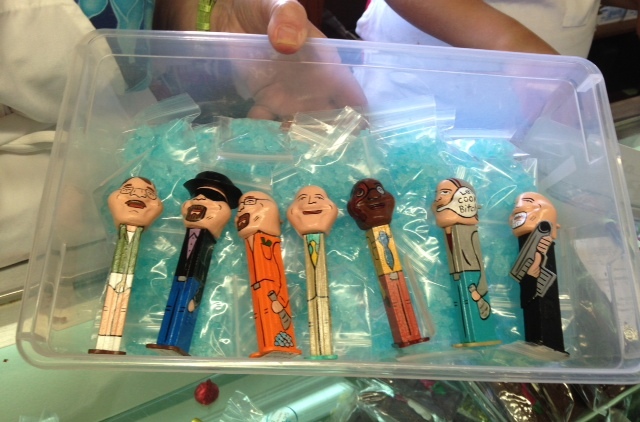 Rabid Breaking Bad fans still make pilgrimages to Albuquerque to have an Indian taco at Los Pollos Hermanos (Twisters, in its civilian life), grab a coney at The Dog House and buy blue meth candy from Debbie Ball at her three-decades-old candy store in Old Town. There’s even an RV tour with stops at 17 locations from the still-popular AMC show. To get a jump on what’s sure to only add to Albuquerque’s mojo, here’s a tour of six must-see’s from the new prequel, Better Call Saul. Loyola’s Family Restaurant. When Jimmy McGill (in a fake British accent) asks Craig Kettleman, the county treasurer accused of embezzling $1.6 million, and his wife Betsy to meet him at Loyola’s Cafe, he couldn’t have given the long-time family eatery a better endorsement. Not that it needed it. Located on historic Route 66, this diner with maroon vinyl booths and wrap-around counter has been packed with University of New Mexico students, cops and chile-loving locals since it was opened by Loyola Baca in 1984. Her daughter Sarah Cordova now runs the joint that also sells by the quart posole, menudo and red and green chile that will make your nose run, your pits sweat and your heart dance flamenco. Fried chicken, chicken fried steak and liver and onions go for $9.19. For a New York strip, be prepared to pony up $11.99. And even though Loyola’s appeared to be open into the wee hours in Breaking Bad (“Cornered”—Season 4, Episode 6), it closes by 2 each afternoon. Don’t miss the roadrunner lamps. 4500 Central Avenue, SE, 505.268.6478. Café Lush. With Jimmy’s credit card already being declined at the flower kiosk, he didn’t try lassoing in new clients at this tiny, 12-table café in a quiet edge-of-downtown neighborhood. But it played a cameo role in the pilot as twins Cal and Lars waited at 7th and Tiejeras Avenue with skateboard in hand. Café Lush (baristas even write the letters L-U-S-H on top of lattes) is top of the list for Albuquerque’s vegan, organic and gluten free set. Their breakfast pizza which looks and taste nothing like a pizza (but is every bit as delicious) satisfies both persuasions. They also make gluten free brownies, muffins and tortillas and such daily specials as shrimp tacos with Napa cabbage and mango salsa. They even have a Better Call Saul burger, but it’s a turkey burger with cheese and peach mustard. 700 Tijeras Ave. NW, 505.508.0164. Vintage 423. Jimmy had trouble making conversation with his blonde bombshell date at this upscale Northeast Heights supper club. And no wonder. He’d just survived a different kind of encounter in the desert with maniacal, grandma-loving Tuco. Although this elegant, low-lit restaurant doesn’t really serve breadsticks (the crunching of which reminded Jimmy of the twins’ legs being broken) it does serve a fabulous homemade French baguette with chile olive oil spread. If its accompanying bar with the waterfall were anywhere else, patrons would be required to wear a tie. Here, like Jimmy, you can get drunk and throw up in the bathroom wearing about anything you like. On weekends, expect hours-long waits. 8000 Paseo Del Norte Boulevard, 505.821.1918. Los Altos Skatepark. When Jimmy came up with the hare-brained scheme of tricking the Kettlemans into becoming a client, he knew just where to find the no-brain skateboarders Cal and Lars. 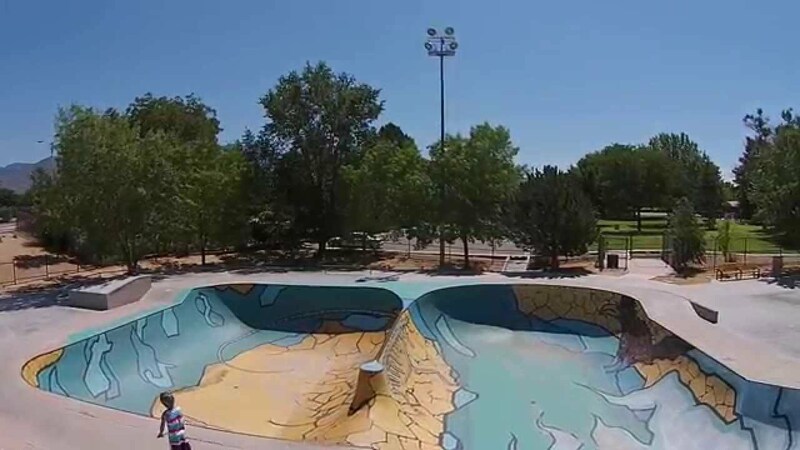 Los Altos Skate Park, the largest in the southwest, has 35,000 square feet of skateable area, a banked street course, two bowls and accommodates BMX bikes, skateboards and in-line skates. There are even bleachers, phones and colorful murals at this popular park near Lomas and the I-40 overpass that, just last year, got a facelift. 10140 Lomas NW. “Omaha” Cinnabon. Want to take a selfie at the Cinnabon where Gene (yet another alias for Saul) now spends his days wearing an apron, mixing dough and stirring up CinnaSweeties? No need to head to Omaha. The opening B&W sequence was filmed at the Cinnabon inside Albuquerque’s Cottonwood Mall. They even gave out some 350 free mini-buns the day after the pilot premiered. 10000 Coors Blvd Bypass NW. 505.792.8136.